My only visit to Iceland so far has been for a few days on a cruise ship stopping at Seydisfjordur, Akureyri, Isafjordur and a couple of days in Reykjavik. Whilst a good way to visit new locations this form of travel is not good for photography as the days and hours of your visit are set in stone. Iceland is, however, such a fantastic photographic location that some spectacular photographs can be had at almost any time. Here are a few pending my return to an amazing country on a trip where I have the freedom to explore the right locations in the best light. 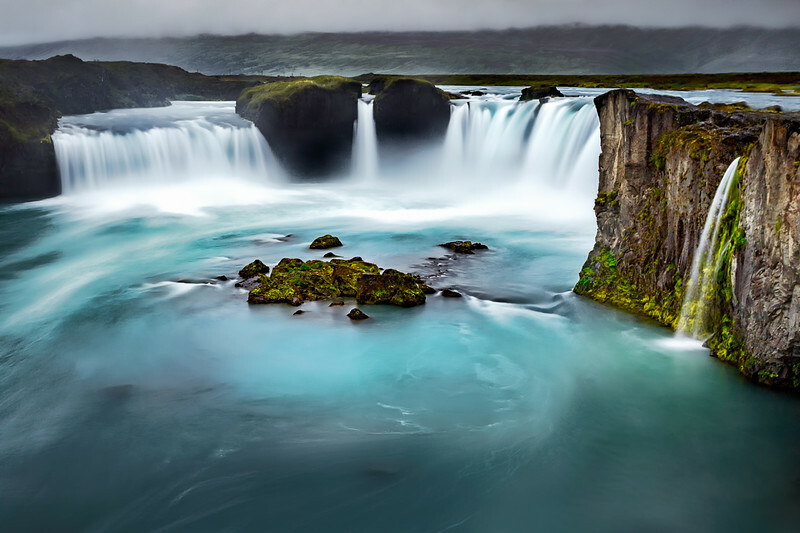 The beautiful Godafoss waterfall in Northern Iceland on a rather overcast morning. The water is a spectacular shade of turquoise.